Kicking off on March 27 Threshold festival is set for a weekend of new music, arts and culture, Getintothis’ Adam Lowerson has all the details. 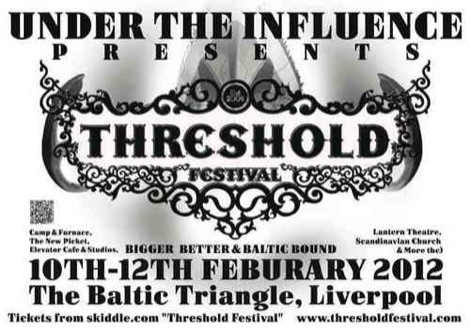 Entering its fifth year, Threshold Festival has announced its full programme of live music, arts and general merriment for the three day event. 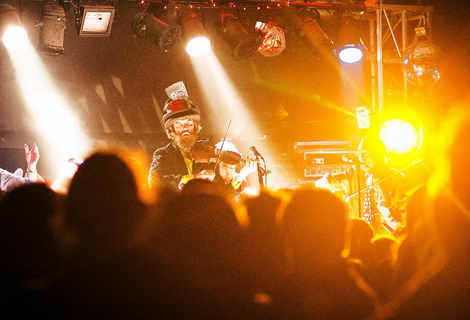 Taking place in a number of venues and pop up stages across the Baltic Triangle, the festival is becoming renowned for championing the best up and coming artists, not just from Merseyside but across the UK and beyond. 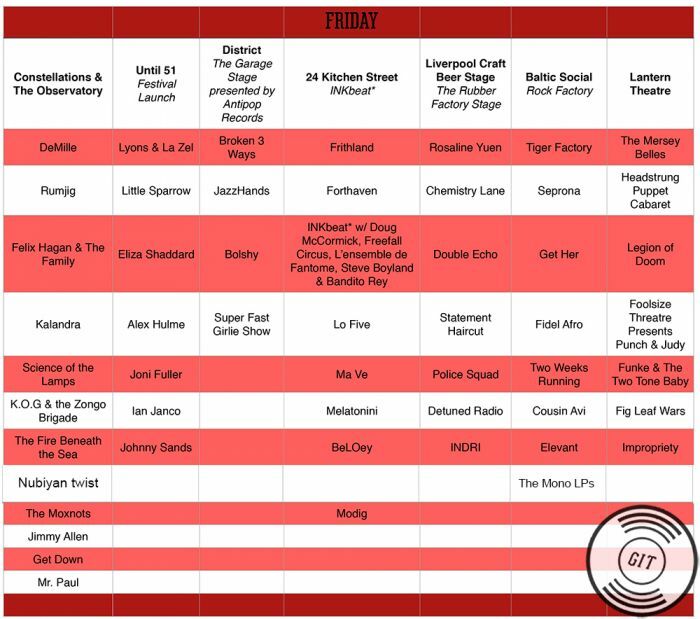 This year venues include The Observatory, District, Baltic Social and the Liverpool Craft Beer Space, which will be hosting live music for the first ever time. 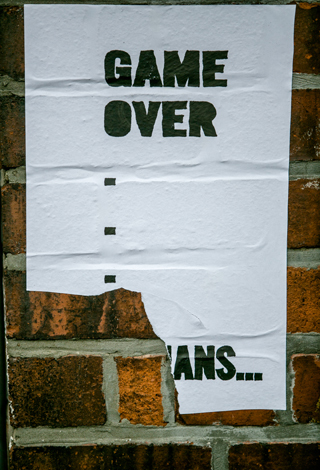 Pop up performances around the Baltic Triangle have also been promised, so we can be sure to expect surprises and moments of musical madness. 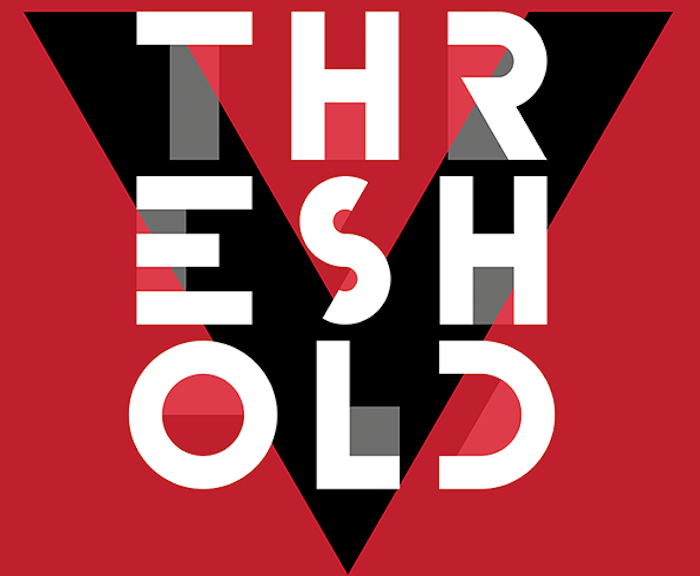 Amongst the visual art events, panel discussions and performances across the weekend, the array of live music will surely be what takes the spotlight, with Threshold boasting one of their strongest line ups yet. Featuring the MOBO award winning hip-hop star Akala, improvised jazz 12-piece Nubiyan Twist and afrobeat collective We, The Undersigned, the festival will be bringing some of the most exciting emerging talent from the country to perform alongside some of Liverpool’s finest. 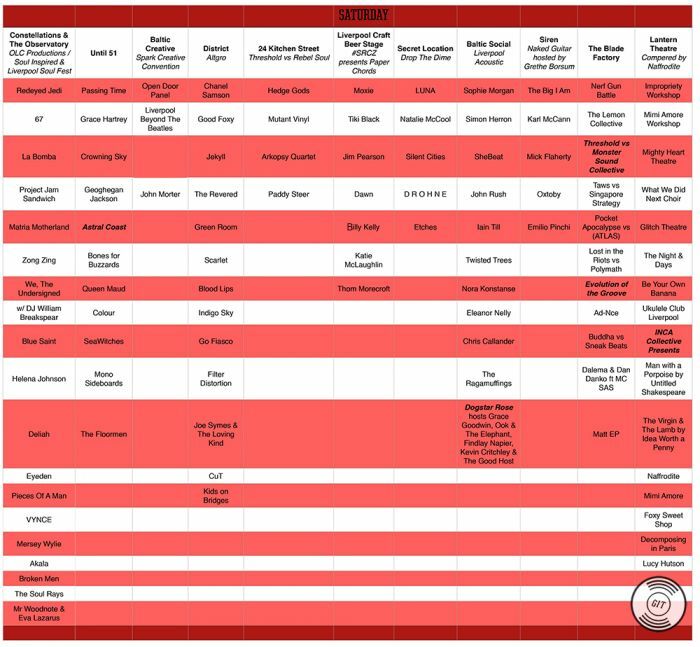 Some of those representing Merseyside include 17 year old singer/songwriter Dominic Dunn, GIT Award 2015 nominees D R O H NE and Xam Volo, and psych newcomers the Floormen amongst many others. 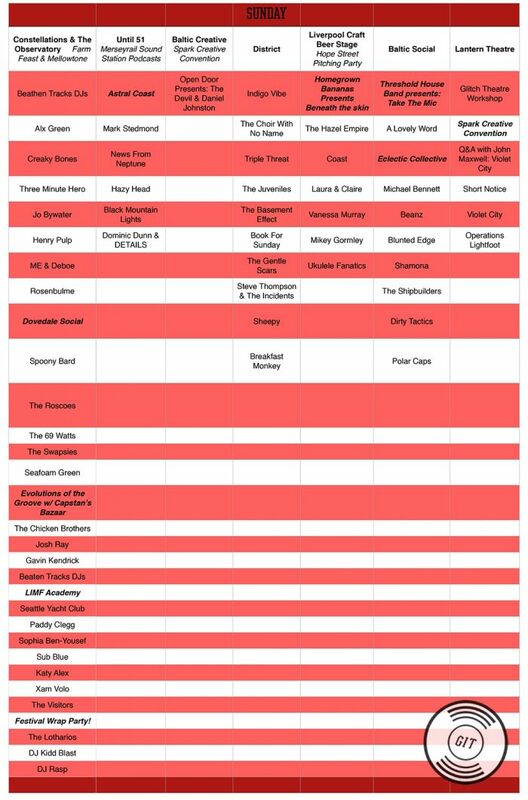 Details of the full line can be found below, plus there’ll be Pop-up performances across the Baltic Triangle all weekend.